The Ferrari 456 and 456M (Type F116) are front-engined grand tourers which were produced by Ferrari from 1992 to 2003. The 456 was a replacement for the defunct front-engined 412 as the company's V12-powered four seater. The updated 456M, which was the last Ferrari model to use pop-up headlamps, was replaced in 2004 by the 612 Scaglietti. The original 456 grand tourer was designed by Pietro Camardella at Pininfarina which was available in GT and (from 1996) GTA forms. The difference in name signifies the transmission: the former has a six-speed manual and the latter has a four-speed automatic developed in partnership with FF Developments, in Livonia, MI (which was later purchased by Ricardo Engineering in the UK). This was the fourth automatic transmission ever offered by Ferrari. The 5.5 L (5,473.91 cc) 65° V12 engine was derived from the Dino V6 rather than the more conventional 60° V12s used in the 412 and Daytona. It produces 442 PS (325 kW; 436 hp), with 4 valves per cylinder and Bosch Motronic M2.7 engine management. It could push the 1,690 kg (3,726 lb) car and four passengers to a top speed of 302 km/h (188 mph) making it the world's fastest production four-seater grand tourer. 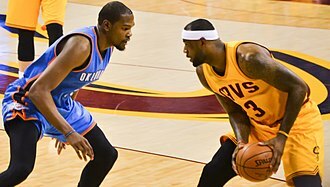 Acceleration from 0-100 km/h (62 mph) takes 5.2 seconds, with a 13.4 second quarter-mile time. At the time of its development, it was the most powerful road car ever developed by Ferrari (aside from the F40). In 1996, the engine management system was changed to Motronic M5.2 management and the engine with the updated system.was given the F116C code. The name 456 is derived from the fact that each cylinder displaces 456 cubic centimetres. This was the last Ferrari to use this naming convention until the 488 GTB. Despite its exceptional performance, the 456 has a relatively unstressed engine, which has proven to be a very reliable unit. A further developed version of this engine was used in the front engined 550 Maranello grand tourer that was introduced in 1996 and which became the most powerful naturally aspirated Ferrari road car aside the 456. 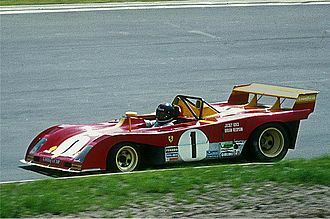 The chassis is a tubular steel space-frame construction with a one-piece composite bonnet and body panels of aluminium. The body panels are welded to the chassis by using a special "sandwich filler" called feran that, when laid between, allows steel and aluminium to be welded. The Modificata 456M was unveiled in 1998, starting with chassis number 109589. Many changes were made to improve aerodynamics and cooling and the interior – still featuring Connolly Leather – was freshened with new seats and other conveniences (fewer gauges on dash, and a new Becker stereo fitted in front of the shifter rather than behind as in the very shallow and special Sony head unit in the 456 GT). The 456 had a smaller grille with fog lights outside the grille. It also had hood-mounted air scoops which could be seen removed on the 456M. The undercarriage spoiler on the 456M is fixed, where the older 456 had a motorized spoiler that began its deployment above 65 mph (105 km/h). Power output remained unchanged on the Modificata using Bosch Motronic M5.2 engine management at 442 PS (325 kW; 436 hp); the cylinder firing order was changed for smoother running and the torque remained the same for later versions of the 456 GT. In the final year of production 2002/3, customers could specify their vehicle using the Carrozzeria Scaglietti Program. Launched at the 2002 Geneva Motor Show using Michael Schumacher's own 456M GT as an example, customers could work with Ferrari personnel to create a highly individual car. 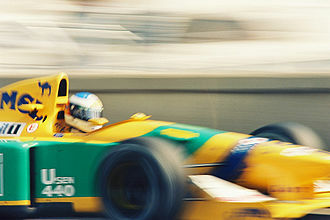 Schumacher's car had a two colour paint scheme, custom leather interior, re-worked instruments, an uprated handling pack and cross-drilled Brembo brakes. 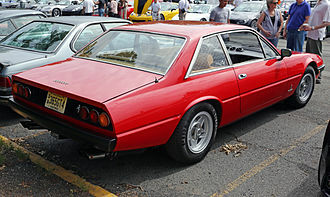 Such cars would be thus designated as a Tipo 456M GT(A) Scaglietti. The car is also calls the 456M GT "Schumacher Edition" as Schumacher was the first to commission the car. A total of 30 cars were produced, with only 10 being made with the 6-speed manual transmission. Ferrari 456 GT Saloon: At least three 4-door sedans (saloons) were built by Pininfarina especially for Nafsas Al Khaddaja of Belgium and the Sultan of Brunei. Ferrari 456 GT Venice: It was a series of seven 5-door wagon (estate) commissioned by Prince Jefri Bolkiah of Brunei. After Pininfarina designed and built them, the prince only purchased six and the remaining car was purchased by a private car collector in the United Kingdom. Each piece is rumoured to have cost the Sultan's brother around US$1.5 million. Ferrari 456 GT Spyder: It is a convertible version of the 456 of which two were built by Pininfarina especially for the Sultan of Brunei. Ferrari 456 GT Cabriolet: There are also three aftermarket conversions made by the R. Straman Company of Costa Mesa, California, one of which was purchased by boxer Mike Tyson. Ferrari 456 Targa: It is an aftermarket conversion done on a 456GTA once belonging to Shaquille O'Neal. Additional work included removal of the rear seats, to facilitate longer seat rails, and a custom sound system. 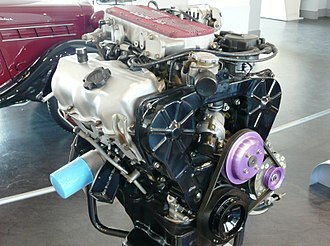 The 5.5 L V12 engine used in the 456 won the "over 4 litre" class of the International Engine of the Year award for 2000 and 2001. ^ "Ferrari 456, production stats". Retrieved 2018-01-03. ^ "Rencontre avec Pietro Camardella & Gino Finizio" (in French). July 2006. Archived from the original on 26 September 2006. Retrieved 5 March 2008. ^ a b "Ferrari 456 GT". Ferrari GT - en-EN. Retrieved 2016-01-15. ^ "Ferrari 456 GT (1992)". ^ "thesupercars.org". thesupercars.org. Retrieved 2012-02-29. ^ "Ferrari 456 GT Venice Still Perfect London Grocery Getter". Autoweek. 2017-03-17. ^ "1995 Ferrari 456 GT Cabriolet". ferraris-online. 2019-02-20. Wikimedia Commons has media related to Ferrari 456. What Does a Ferrari 456 GT V12 Sound Like? The Ferrari 488 is a mid-engined sports car produced by the Italian sports car manufacturer Ferrari, introduced in 2015 to replace the previous 458. It is powered by a 3. 9-litre twin-turbocharged V8, smaller in displacement, the 488 GTB was named The Supercar of the Year 2015 by car magazine Top Gear. The 488 GTB is powered by a 3902cc all-aluminium dry sump unit of the Ferrari F154 engine family, the engine produces 670 PS at 8,000 rpm and 760 N·m of torque at 3,000 rpm. This results in a power output of 126.3 kW per litre and specific torque output of 194.8 N·m per litre. The only available transmission for the 488 is an automated manual dual-clutch 7-speed F1 gearbox manufactured for Ferrari by Getrag, improved carbon-ceramic brakes are supplied on the 488, derived from technology used in LaFerrari, constructed with new materials that reduce the time needed to achieve optimum operating temperature. Disc sizes are 398 mm at the front, and 360 mm at the rear and these advancements reportedly reduce stopping distances by 9% over the 458. A new 5-spoke alloy wheel was designed for the 488, measuring 51 centimetres front, front tires measure 245/35 with rears 305/30. The first 488 to be introduced was the 488 GTB 2-seat berlinetta and it was launched on 3 February 2015, in advance of its world première at the March 2015 Geneva Motor Show. The Ferrari 488 Spider is a 2-seat roadster variant of the 488 with a folding hardtop, Ferrari released pictures of the 488 Spider at the end of July 2015, and the car debuted at the Frankfurt Motor Show in September 2015. The Spiders drivetrain is the same of the 488 GTB, including the 670 PS3. 9-litre twin-turbocharged V8, the 488 Spider is only 50 kg heavier than its coupé sibling, and 10 kg lighter than the 458 Spider. The 0–100 km/h sprint is unchanged at 3.0 seconds, while the 0–200 km/h acceleration takes slightly longer at 8.7 seconds, UK sales are expected to begin in late spring 2016. The racing versions of the 488 GTB are the successors to the 458 Italia GTC, both the 488 GTE and GT3 were unveiled at the 2015 Finali Mondiali Ferrari which took place at Mugello. The 488 GTE made its debut in Round 1 of the 2016 WeatherTech SportsCar Championship at the 24 Hours of Daytona on 30–31 January. A sedan /sᵻˈdæn/ or saloon is a passenger car in a three-box configuration with A, B & C-pillars and principal volumes articulated in separate compartments for engine and cargo. The passenger compartment features two rows of seats and adequate passenger space in the compartment for adult passengers. The cargo compartment is typically in the rear, with the exception of some rear-engined models, such as the Renault Dauphine, Tatra T613, Volkswagen Type 3 and it is one of the most common car body styles. A battery electric sedan such as the Tesla Model S has no engine compartment, but a front cargo compartment, the primary purpose of the sedan is to transport people and their baggage on ordinary roads. Sedan versions of the body style have a central pillar that supports the roof and come in two-. Sedans usually have a two-box or three-box body, popular in the U. S. from the 1950s through the 1970s, true hardtop body designs have become increasingly rare. For example,1962 Rambler Classic sedans feature identical windshield, A-pillar, roof, C-pillar, and rear window. A two- or four-door design built on a chassis, but with a shorter roof and interior space. 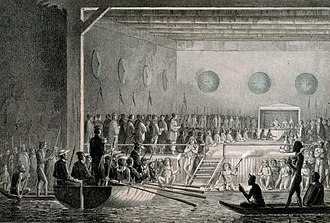 Originating from the car on a Pullman passenger train that was well appointed. A notchback sedan is a sedan, where the passenger volume is clearly distinct from the trunk volume of the vehicle. The roof is on one plane, generally parallel to the ground, the window at a sharp angle to the roof. A fastback sedan is a sedan, with continuous slope from the roof to the base of the decklid. They are not fastbacks because their bodyline changes from the roof to the rear deck and their steeply raked rear windows end with a decklid that does not continue down to the bumper. Instead, their ends are tall — sometimes in a Kammback style — to increase trunk space. Typically this design is chosen for its aerodynamic advantages, automakers can no longer afford the penalty in fuel consumption produced by the traditional notchback three box form. In historic terminology, a sedan will have a frame around the door windows, a true hardtop design has no center or B pillar for roof support behind the front doors). The F116 engine family is a series of 65° DOHC V12 petrol engines produced by Ferrari since 1992. 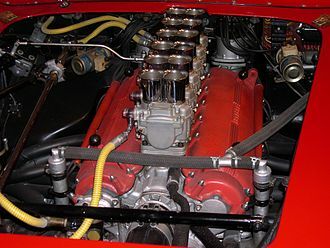 Introduced with the 456 GT, this engine had a displacement of 5.5 L and was a new design who replaced the previous Colombo-derived F101 60° V12 engines used in Ferrari 412 four-seater. A more performant variant named F133 debuted in 1996 with the 550 Maranello, the production of the F116 ceased in 2003, in the same period the F133s displacement was increased to 5.7 L and lasted until 2011. It was replaced by the F140 engine family, all those engines featured dry sump lubrication and 48 valves driven by dual overhead camshafts per bank. 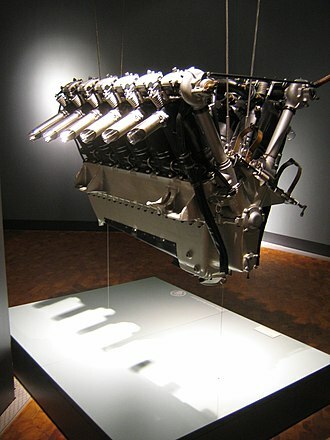 The block and cylinder heads were constructed from light alloy, featuring Nikasil treated alloy cylinder liners. A Bosch Motronic 2.7 combined fuel injection/ignition engine management system was fitted, superseded by a Motronic 5.2 unit in 1996. Some engineering companies built racing versions based on the F133A engine, a factory 6.0 L racing version of the F133 engine was jointly developed by Ferrari and N.
The Ferrari 550 Maranello is a front-engined V12 2-seat grand tourer built by Ferrari from 1996 to 2002. In 2000 Ferrari introduced the 550 Barchetta Pininfarina, a limited production version of the 550. The 550 was replaced by the upgraded 575M Maranello in 2002, the Berlinetta Boxer had been developed into the Testarossa, whose last evolution was the 1994 F512 M. Under the presidency of Luca Cordero di Montezemolo, who took office in 1991, after a 30 months of development, the Ferrari 550 Maranello was presented in July 1996 at the Nürburgring racing circuit in Germany. The model name referred to the 5. 5-litres total engine displacement in decilitres and to the town of Maranello, home to the Ferrari headquarters, Pininfarina executed both the exterior and interior design. Frame and main components were shared with the 2+2 Ferrari 456. In 2002 the 550 was replaced by the 575M Maranello, not a model but rather an all-around improved version of the car. In total 3,083 units of the 550 Maranello were produced, the 550 used a front-engine, rear-wheel drive transaxle layout, with the 6-speed gearbox located at the rear axle together with the limited slip differential. The chassis tubular steel frame, to which the aluminium body panels were soldered. 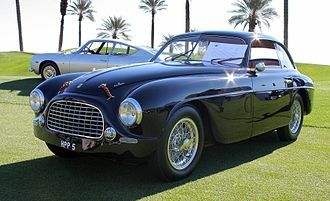 The Pininfarina-designed body had a coefficient of 0.33. Suspension was of the double wishbone type with coil spring and damper units on all four corners. The steering was rack and pinion with variable power assist, the vented disc brakes were 330 mm at the front and 310 mm at the rear. Magnesium alloy was used for the 18-inch wheels, electronic driver aid systems included anti-slip regulation, which could be adjusted on two levels or switched off completely, and four-way anti-lock braking system. The engine is a naturally aspirated 65° V12 with 4 valves per cylinder, dual overhead cams and it displaced 5,473.91 cc and produced 485 PS at 7,000 rpm and 568.1 N·m at 5,000 rpm. Bore and stroke measure 88 mm and 75 mm, according to the manufacturer the 550 Maranello had a top speed of 320 km/h, and could accelerate from a standstill to 100 km/h in 4.4 seconds. Ferrari introduced a version of the 550 at the Paris Motor Show in 2000. A cylinder head from a 1987 Honda CRX Si showing SOHC, rocker arms, valve springs, and other components. This is a multi-valve configuration with two intake valves and one exhaust valve for each cylinder.